Hi Kraken, I have a question about the withdrawal information my bank receives when I initiate a SEPA withdrawal to them from Kraken. My bank has told me multiple times that they don't see where the money comes from. 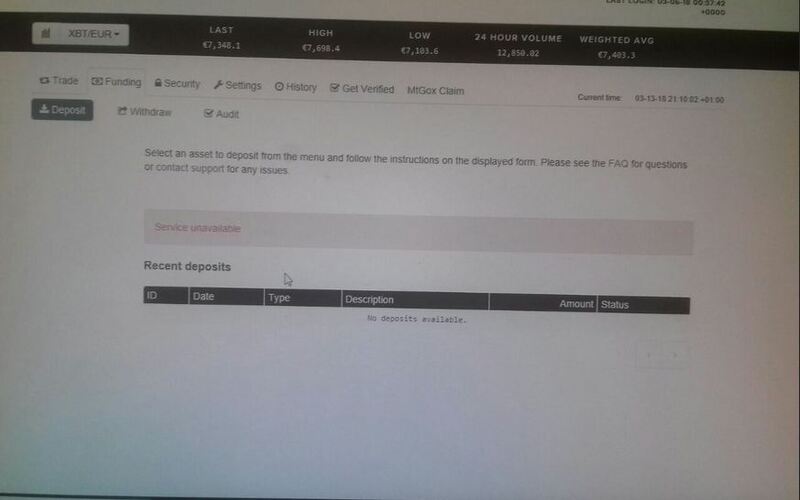 All the banks I used to withdraw EUR from Kraken told me the same thing and some closed my account because of this. Is there a way that you guys could address this and like mention in the withdrawal details that the money comes from my account and add my name in there? If my name could appear there, then that would be perfect. Please let me know, since this is a very important issue for me and many others I believe. 1. Could I somehow add my name to the "Initiator's bank reference" field? 2. Also for the "Orderer's reference" field, can I add a message like "hey, it's me mark". Please let me know since this may help prevent closing my bank account. Hello markd I understand that this can be a problem with your bank. Why don't you let one of our agents help you with that? Follow the link provided by Kraken-Septimus (see below) and a specialist will assist you. Btw, does Septimus really need help to post replies such as, please open a ticket and escalate? I have an account on this stock exchange but I don't use it. Very inconvenient interface and lack of support for the most common Bank cards visa and MasterCard. Probably it is necessary to solve this problem. I understand when such problems arise at the opening. It is impossible to foresee everything. But the reluctance to change significantly limits the influx of new users to you. Hi warrior333. Thanks for letting us know your opinions about Kraken. If you don't mind me asking, what about the interface do you find inconvenient? What do you find that we're reluctant to change? We just had a major upgrade in January and have a new trading interface at trade.kraken.com. If you haven't tried Kraken in a while I'd suggest you try us again. We don't support Debit cards, credit cards or PayPal because digital asset transactions, including bitcoin transactions, are nearly instant and practically irreversible, and the risk of fraudulent transactions from credit card or similar into bitcoin is too high for us to take on right now. We would suggest to stay away from Kraken. As their support is just a plain farce. still no news on the market manipulation issue...or are there any and you just dont share them? The usual reminder as the problem seems to be going on still. May I ask if and when it may be possible for you guys to offer SEPA instant withdrawals? This would make SEPA withdrawals within the Eurozone nearly instant. Thank you. it won't be available soon on Kraken as this technology is not yet widely supported across banks that support SEPA. I'll keep you posted anyway if we start offering it. I have sent my photo ID and have satisfied all the requests needed to reopen my account. But suddenly Kraken is ignoring all emails for a month now. Why are they not addressing the issue of my account being disabled? Apologies to everyone (except Kraken) for potentially annoying you by repetitive reminding Kraken to finally answer the questions about the market manipulation issue. However, Kraken is not responding to email communications about this issue, and as you can see they obviously try to ignore this issue here too. Therefore, we will keep reminding Kraken until they finally give an answer to the questions posed about this issue earlier. Let this be an example to everyone. This is how Kraken really treats its customers in case important issues need to be solved. Hi Martin958. I'm sorry to hear that you still don't have access to your account after a month. Could you please escalate your ticket using this form? Thank you for your patience. After reading this I asked the question to the support, so few days ago, and I'm still waiting for an answer actually. latoxine34 could you share your ticket number?